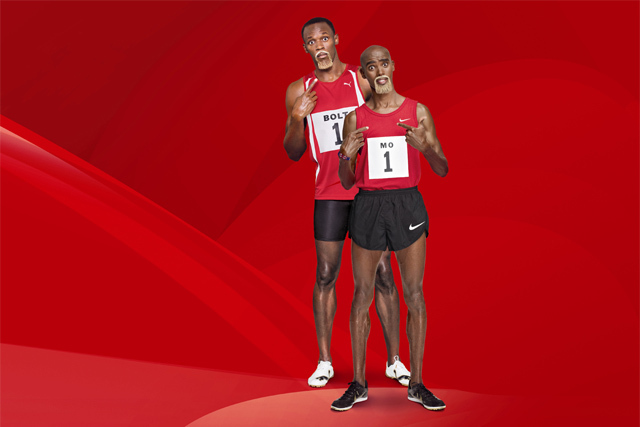 Virgin Media has signed a deal to sponsor the Glasgow 2014 Commonwealth Games, with brand ambassadors Usain Bolt and Mo Farah likely to star in the brand's marketing to support the event. As an official partner and presenting partner of athletics, Virgin Media will promote the Games in its marketing and communications, as well as to its 800 staff employed in its Belshill office, near Glasgow. The Games will take place in Glasgow from 23 July to 3 August 2014 and will feature 6,500 athletes and officials from across the Commonwealth. Farah said: "Having Virgin Media's continued support both personally, and as a sponsor of the Commonwealth Games, is a big boost to athletics. I love competing on home turf and I hope to run in Glasgow in 2014. The Scottish crowd is always very passionate about athletics." Bolt said: "Virgin Media is a great company and I’m delighted they have decided to continue their support of athletics by becoming a Commonwealth Games partner." More than one million people are expected to attend over 11 days of sporting competition, with the event expected to have 15,000 volunteers. Jeff Dodds, the chief marketing officer at Virgin Media, said: "Glasgow 2014 will bring together the greatest athletes from across the Commonwealth for one of the biggest sporting events ever to take place in Scotland. "With our Home Nation heroes and international superstars, we’re getting behind Glasgow and can’t wait to build on an amazing track record of success."